Do you know what Canada’s #1 minivan is? It’s not a Japanese brand, but instead a wholesome, dependable, and powerful Dodge. 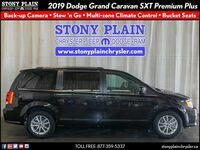 The Dodge Grand Caravan is a popular choice here in Alberta, and Stony Plain Chrysler would love to give you the chance to get behind the wheel of a 2019 Dodge Grand Caravan in Stony Plain, AB today! Once you get behind the wheel, you’ll see why so many Canadians have come to rely on the Grand Caravan for their families, their friends, and even their businesses. 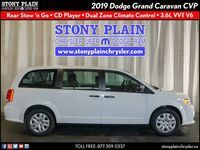 At Stony Plain Chrysler, we have a huge number of Grand Caravan options in stock, and you can browse through our entire new Grand Caravan inventory by clicking the link below. Keep reading to learn more about the latest Grand Caravan and all of its features. In all, the Grand Caravan is available in a total of six trim levels here in Canada. The lineup begins with the fully-featured Canada Value Package model and goes up from there with the SXT, the SXT Premium Plus, the Crew, the Crew Plus, and the top GT trim. The Grand Caravan still sports a 3.6-litre Pentastar V6 engine which makes 283 horsepower while providing 9.4 L/100km on the highway. You have nothing to be concerned about when it comes to safety as the Grand Caravan features 65 standard safety features including a multitude of airbags, electronic stability control, daytime running lights, and more. The Canada Value Package even includes remote keyless entry, power front windows and locks, power heated side mirrors, Stow ‘n Go seating, and daytime running lights. 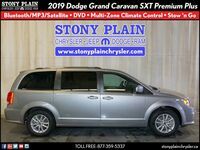 On the other end of the spectrum, the Grand Caravan can be outfitted with a second-row DVD entertainment system, SiriusXM satellite radio, navigation, heated seats in the front and second rows, three-zone automatic climate control, and even a heated steering wheel. With six trim levels to choose from and a myriad of available options, it can be difficult to choose which one is right for you. If you are having that difficulty, then the team at Stony Plain Chrysler is more than happy to help. 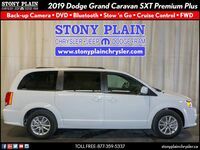 Click the link below to reach out, and we’ll help you find the perfect minivan.